Review: Azone’s Picco Neemo – No Nap Time! Azone Pure Neemo is a popular 1/6th scale doll much like Obitsu but specializes in CUTE. Where Obitsu focuses on movement and articulation, Pure Neemo focuses on the aesthetics, which is why early variants of the dolls had a lot more in common with stationary anime figures. Early Pure Neemo dolls had interchangeable parts to create natural poses which, in other dolls, would reveal an exposed and unattractive joint. Most dolls have robot-like features to allow as much articulation as possible. Doll bodies are designed to make clothing they wear look good and natural, so they tend to be thin or unusually shaped. In recent years, Azone created a jointed body with their Flection line. Although articulation was added, special care was made in the way the bodies were designed so that the joints were hidden. Which is why it was a delight for 1/12th scale doll enthusiasts when Azone released Picco Neemos! Picco Neemos are essentially 1/12th scale variants of the Azone Flection line, with minor differences to compensate for the scale. Although Azone has a knack for designing beautiful bodies, it’s difficult to find heads with matching skin tones. Fortunately, Azone’s bodies match with Obitsu and Volk’s Dollfie skin tones. The tricky part is finding head styles that are compatible since Azone doesn’t include alternate neck pegs to accommodate non-Azone heads. Picco Neemo is relatively new so if you’re planning to create a doll, the only type of heads currently compatible with the bodies are only available in Japan (or relentlessly stalking Ebay for an Azone Picco Neemo head). Obitsu usually sets the standard for Asian Fashion dolls and with the release of their 11cm bodies, they created a head variant to match which is a smaller version of the 21HD-F02 head. Picco Neemos are so adorable in person. The Obitsu 21HD-F02 head looked like it was a perfect match despite the top heavy appearance. Although the head will sit on the neck post, the neck hole is too big so the Picco Neemo neck peg needs to be altered in order for the head to be secured. Just look at all that room! Obitsu heads designed for the 21cm ,23cm and 25cm bodies do tend to have bigger neck holes since they were designed to have child-like proportions, which generally translate to bigger heads. The adult heads designed for the 27cm bodies have small neck holes which happen to work perfectly with Picco Neemo bodies. Obitsu’s Flesh tone matches with Azone’s Natural skin tone as seen in the doll below. 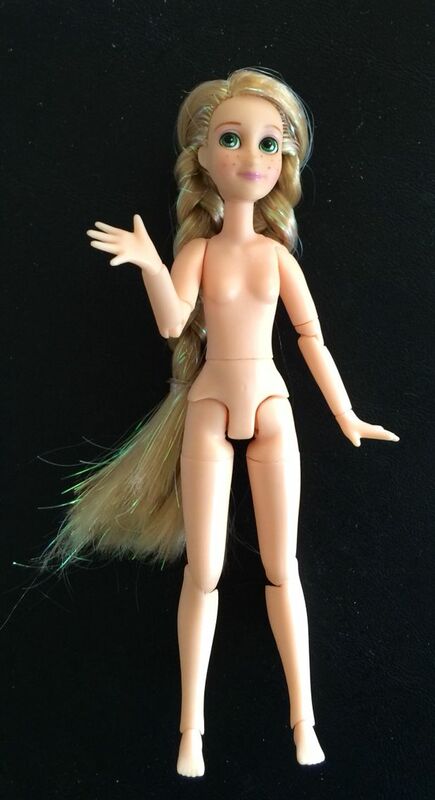 I had to sand down the chin from a 27HD-F04 head in order for it to work with the Picco Neemo body proportions. I am attempting to shrink my 21HD-F02 head using the acetone bath method to see if it will help shrink the neck hole down to something that will be a snug fit for Azone’s neck adapter. Stay tuned!